Well I needed something to go with all that yogurt I just made, right?? And ’tis the season for making everything pumpkin, right? Well, I got my googling fingers going and came across Healthy Food for Living blog and the recipe I have linked. Granola is something is so cheap to make at home but wicked expensive to buy in the store (pulled out my Mainer there budday). 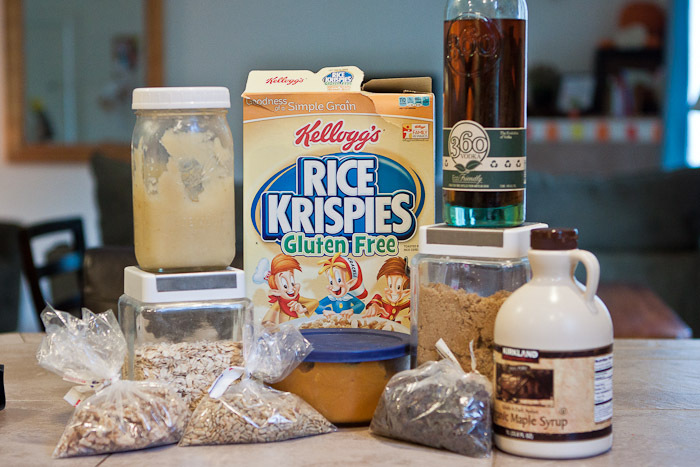 I followed the recipe word for word, so you can jump over to her blog to see the recipe. I used chopped walnuts and sunflower seeds (raw) for the nuts and raisins for the fruit. I do, however, I have the nutritional info for you! 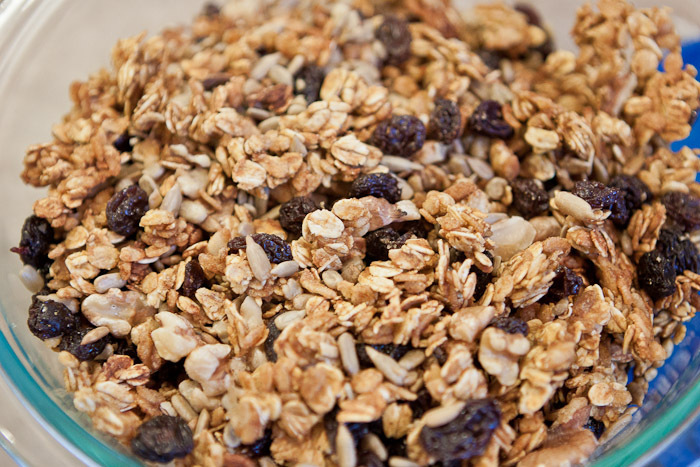 Granola calories can sometimes make your heart stop when you see how dense they are but this one isn’t too bad!